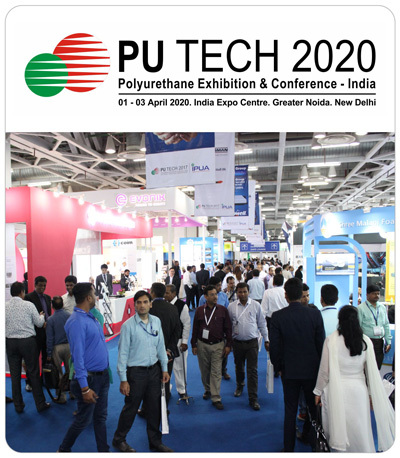 To promote the healthy growth of the Polyurethane Industry in India in the interests of the producers, processors,consumers and the society at large. To Create a Platform for interactive brotherhood and fellowship amongst the industry. To interact with Government Bodies and represent the Industry point of view with a objective to formulate healthy good manufacturing practices. To conduct Training Programs to help the industry update with Industry developments and Innovations. To Create Enhanced Awareness and encourage Safety, Health and Environment protection. To conduct Exhibitions and Seminar to update industry and create public awareness. To promote usage of Polyurethanes in Insulation to increase Energy Saving. To promote usage of Polyurethanes in Comfort Products to improve Quality of Life. To enhance usage of Polyurethanes in applications like Shoe Soles, Coatings, Adhesives and Sealants to result in long life and enhanced comfort and reduce Stress. The Association has established the INDIAN INSULATION FORUM to promote usage of insulation in the construction sector. The IIF is working with the BEE and CII to save energy in buildings with efficient insulation practices. The Association has established a VIRTUAL TECHNICAL CENTRE in Pune to assist members. The Association has established INDIAN MOLDED PRODUCTS FORUM to catalyse growth in the Molded Foam sector of the industry.